Apple KnowledgeIf you ever try to load Knowledge base articles and they appear to be blank, then you may have a problem with some of your cookies. Luckily on Safari you can delete individual cookies. 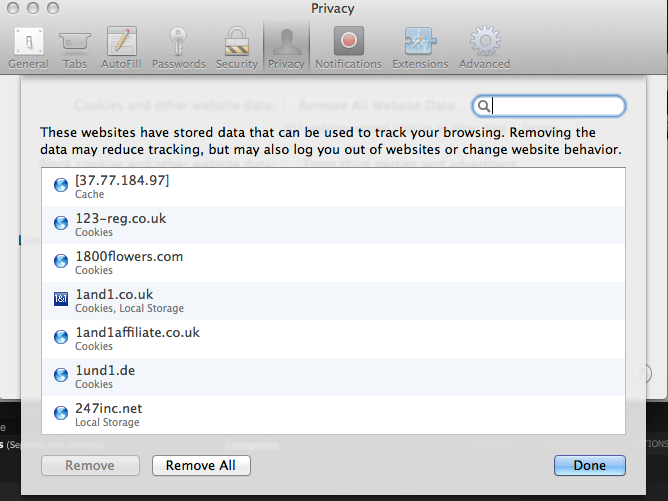 So what you need to do is open Safari, go to Preferences, then click on the Privacy tab. Once you have this up you could remove all the cookies etc from Safari, by clicking on the Remove All Website Data button at the top. However if this sounds too extreme then if you click on the details button you then have the option to search for specific cookies. As you can see from the screen shot below, in the top right hand corner you have the field to search. DetailsIn the search box if you type Apple it will only show you the cookies relating to Apple Website, from here you can easily remove them and then from there you should be able to view the articles. I have to give all credit to this tip to the Mac Geek Gab Podcast, as this is where I first heard it.